Task boards can be customized to better suit your workflow. It is possible to change the number of columns, their names and what task statuses a column represent. There are currently two different task boards. 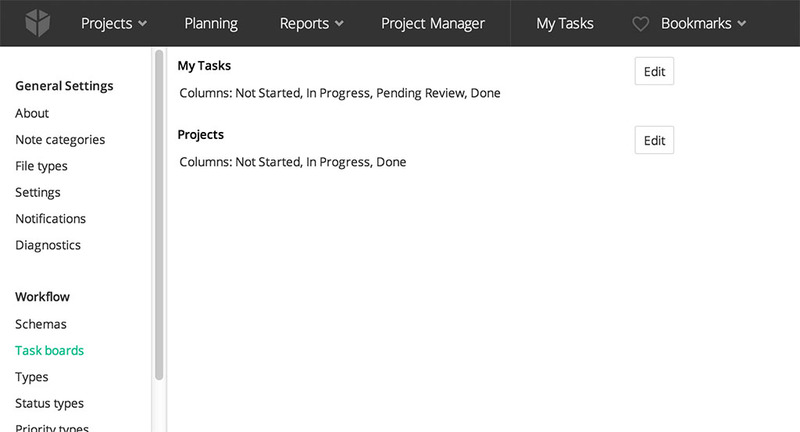 One at the My Tasks dashboard and one in Projects as a separate dashboard. The one in Projects works like any other dashboard and can be viewed for any object on the project including lists. Each task board can be changed individually but changes will apply for all users on all projects. The task board editor visualises what the board will look like and you can drag & drop to reorder columns and move statuses between columns. The column furthest to the left contains unmapped statuses that can be dragged to an existing column. Unmapped statuses will not be included in the task board. By default, task board columns will be based on the states “Not started”, “In progress” and “Done” which are set per task status. 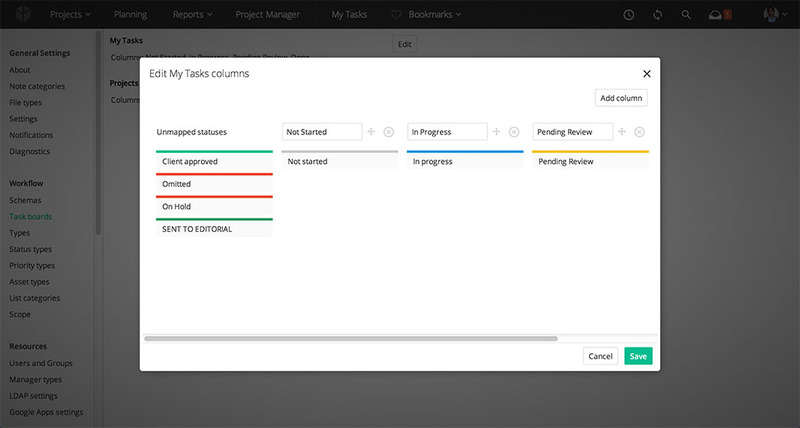 When a task board is customized, new task statuses will not be included in the columns automatically. Instead they will appear in the “unmapped statuses” column and need to be mapped manually.